Yes, you read correctly. 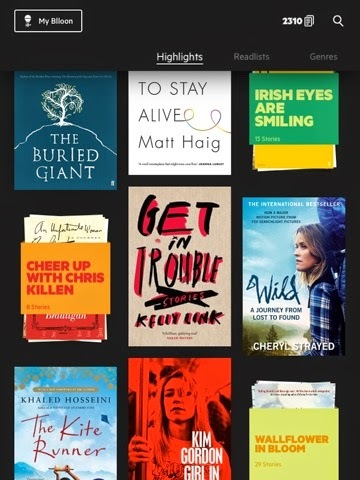 The Blloon is an app which has been described as the Netflix for books; it is a huge database of bestselling books that you can download and read straight away on your iPhone or iPad. Curious to find out more? I certainly was. 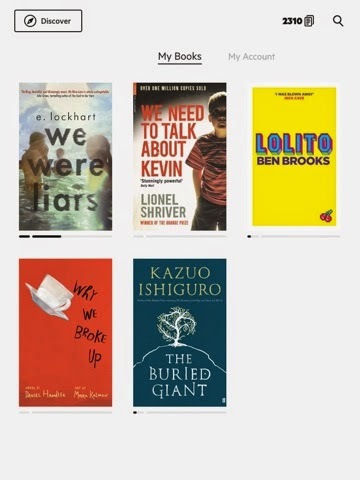 Blloon is free to download and you get one month free to test it out and see what wonderful books you can read there (much like how Netflix gives you the free month trial). After being contacted by Blloon asking if I'd be up for trialling their app I decided to give their app a thorough investigation to see if it was as good as it sounded! It's really easy to sign up for Blloon, as you do is download the app and pop in your email address and you're good to go! You don't need to put any bank details in so you can enjoy your free month without the worry of money being taken out of your account once your free month is up! 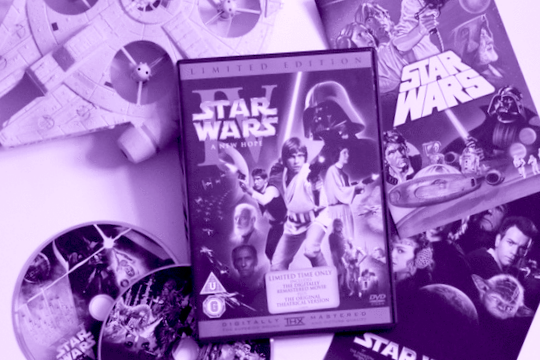 The subscription includes 500 pages to start which works out at about 1 long novel or two books (You can pay more for extra pages) and, as far as I'm aware, you can roll over any leftover pages to next month. After that it's only £3.99 a month. At first I was a little overwhelmed with the many options of books and had no idea where to start. It's easy to search for books of you know exactly what you want but other than that the options are endless! Blloon have made little categories of books to help you pick some titles you might enjoy which is handy (I went straight for YA and fantasy- I can be so predictable at times haha). I came across a lot of books I've always wanted to read but never picked up so I downloaded those. I was also impressed that it had the likes of Ishiguro's 'The Buried Giant' which came out only a couple of weeks ago! 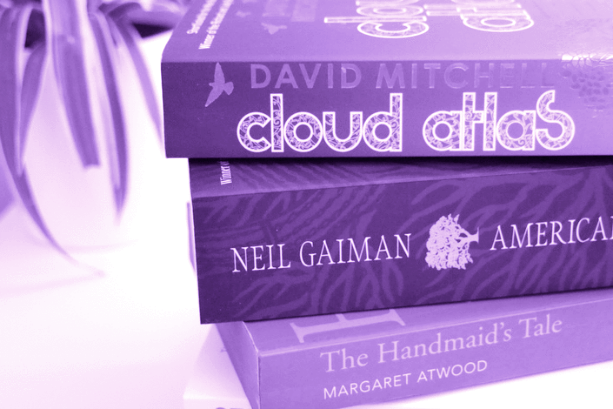 If you are ever stuck for choice, you can have a personalised list of book recommendations sent to you by one of the Blloon team which is handy for indecisive people like myself! Downloading is very quick and they are saved into 'My Blloon' which is easy to navigate. All you have to do then is start reading! I was a bit worried about this process as I didn't want to waste my pages on books I didn't like but I was happy to discover that you get the first 10% of the book totally free which I think is such a great feauture. 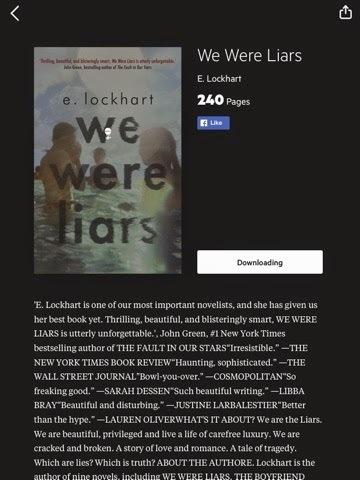 I've had no problems reading my books on Blloon (currently loving 'We Were Liars' by E. Lockhart). I downloaded a couple of books for my holiday and was very thankful for the night time reading option, which blacks out the screen but you can still read, as Nick hates when I look at my phone screen when he's asleep so I could still read in bed without disturbing him! This app is quite new and my only little niggle with it is the app can be a bit glitchy sometimes. 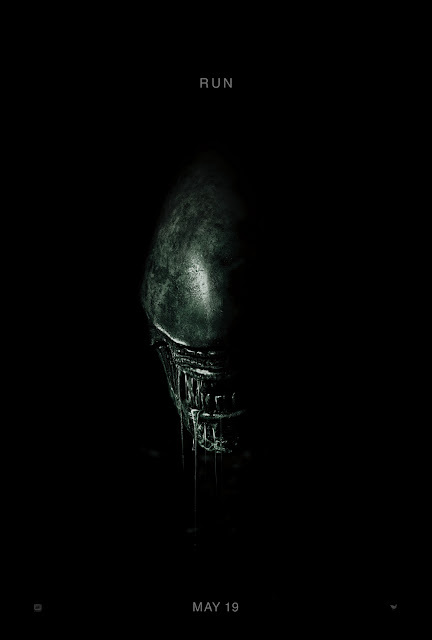 Occasionally when I click the app it just comes up a blank screen but once I close the app and re-open, it works fine again. It's not enough of a problem to deter me from using the app at all. I'm putting this down to it being a more recent app development and I know it's something that can be easily fixed by the team. If you're a book lover I cannot recommend the Blloon app enough. I still love owning paper books but they can be bulky to stuff in my bag for work so this app has been a lifesaver! I'm very impressed with the book selection and I 100% will be subscribing to this service! Thanks Blloon! You can check them out by clicking here. this is a brilliant idea! I really want to get into reading more this year so this might be a good place to start!